Silly/Rare TFS error with Dynamics AX "Team Server connection error. 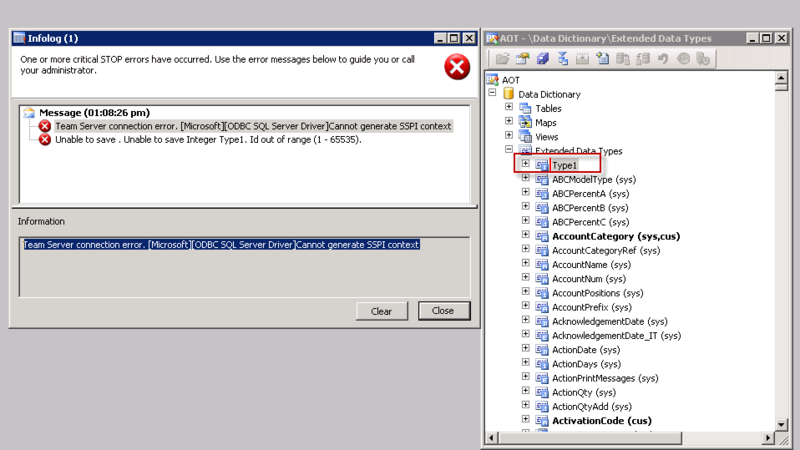 [Microsoft][ODBC SQL Server Driver]Cannot generate SSPI context"
This error, when using TFS, means that your AOS user can not authenticate. Google didn't help me much here right away, and hopefully this saves somebody some head-ache. In my development system, I run the AOS as my user account, and my password expired over the weekend and I changed it. And an expired password won't cause your AOS to suddenly crash either. I just went to the AOS service, re-entered my user/password information and voila.